This may have been a “boring” superbowl game compared to others since there wasn’t much action on the field, but we certainly had fun! 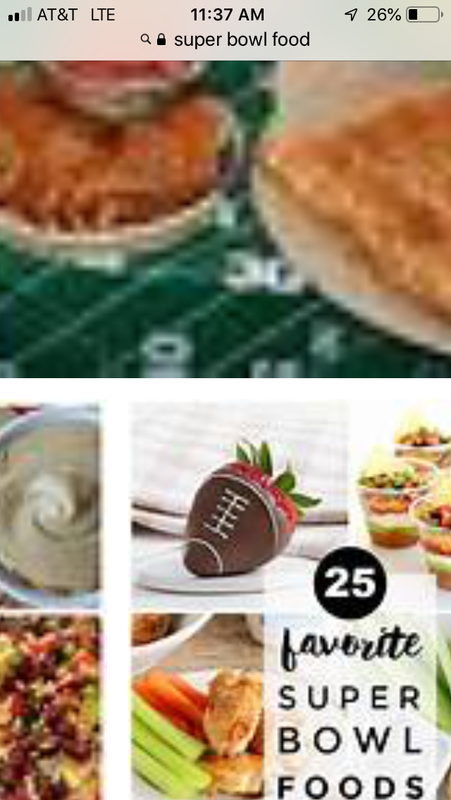 From chili to pizza, guacamole and buff chicken dip, we certainly enjoyed some amazing super bowl food! I tried to make a couple of new things this year and think they turned out great! 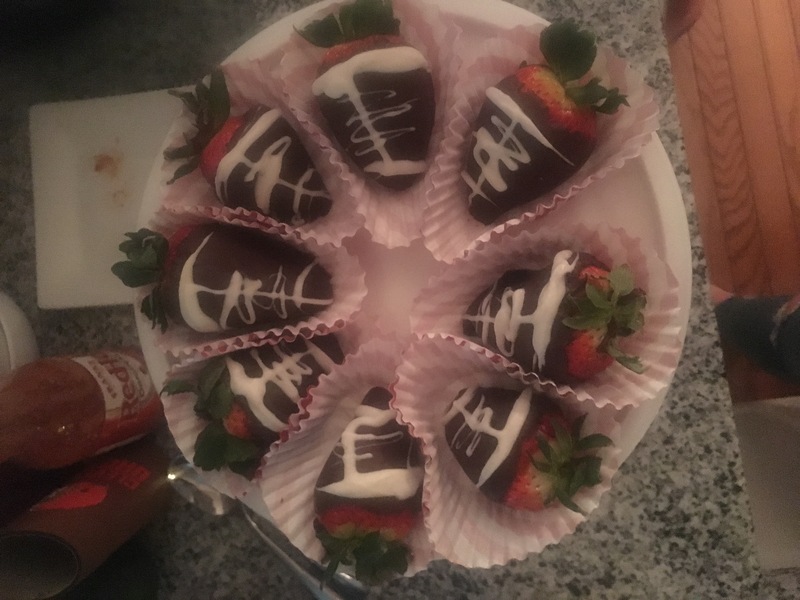 I saw the idea for these chocolate covered strawberries that look like footballs and thought I would give them a try! Mine didn’t turn out as good as the picture above, but I thought they looked pretty cute. They certainly tasted good, so that’s what mattered the most. The kids loved them and their not too unhealthy. 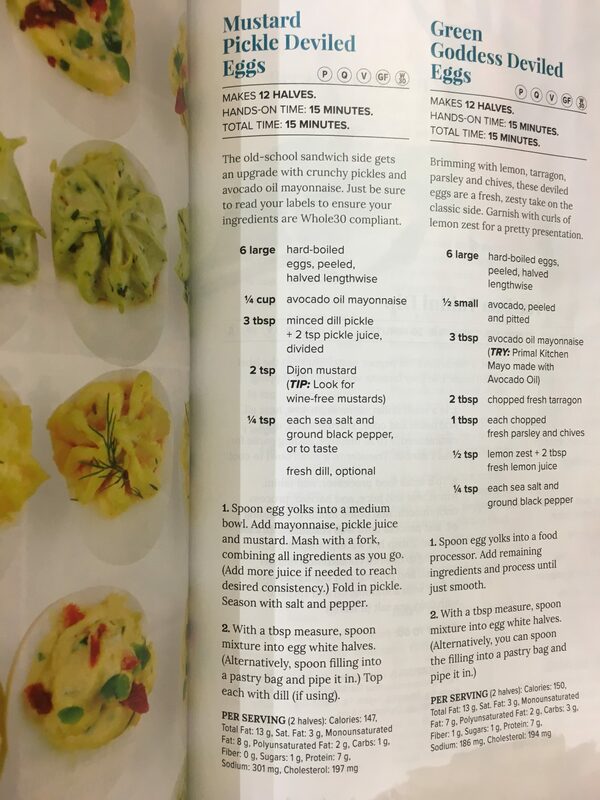 I had never made deviled eggs before, but I found this recipe in a magazine and figured I would give it a try. I made the mustard pickle deviled eggs and followed the recipe exactly as stated below. The only thing is that I would have preferred them to be a little thicker so I might use a touch less of the pickle juice next time. Just thought I would share these since they were a hit. The next super bowl will be here before we know it!